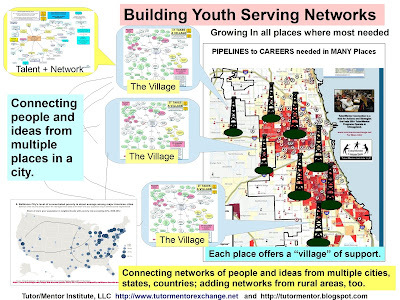 On May 15 I posted my first article about Chicago Mayor Rahm Emanuel's Chicago2011 strategy. 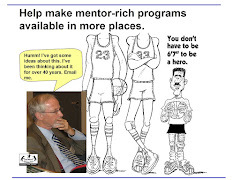 Since then I've posted 11 more articles that can be used by the Mayor's team -- or any other leader -- to help make volunteer-based tutor/mentor programs more available in high poverty areas of Chicago and the suburbs. 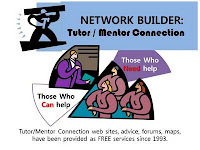 While I'm trying to keep up with my writing, I'm also trying to figure out a new business strategy for the Tutor/Mentor Connection (T/MC), since the the T/MC will no longer be supported as part of Cabrini Connections, Tutor/Mentor Connection after June 30, 2011. In the Mayor's Chicago2011 plan his goal for Children says "The path that leads a child through a post-secondary credential and into a career should be guided by a seamless education system that helps children access opportunities and find lifelong careers." I would love to see the Mayor borrow this graphic to illustrate that idea. 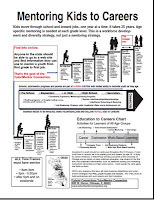 I'd love to see him using this concept map as a "blueprint" to illustrate the supports needed at each grade level for more kids to reach adults with a network of support that assure they have positive life-long careers rather than lives in the prison system and under-employment. As I read Chicago2011 I just did not see a vision for "talent involvement" meaning the engagement of people from the workplace, colleges, the city and the suburbs in on-going efforts to build a system of supports that might send kids from high poverty neighborhoods to school better prepared to learn, and help them leave school with a broader network of people who can help them find jobs and succeed in careers. I'd be happy to be a consultant to the Mayor and his planning team to help them integrate the ideas in the Tutor/Mentor Institute into his strategy. I'd love to have him "make a few phone calls" so I have the money needed to support the maps and conferences and other strategies of the Tutor/Mentor Connection so we can do more to help him achieve his own goals for Chicago youth. 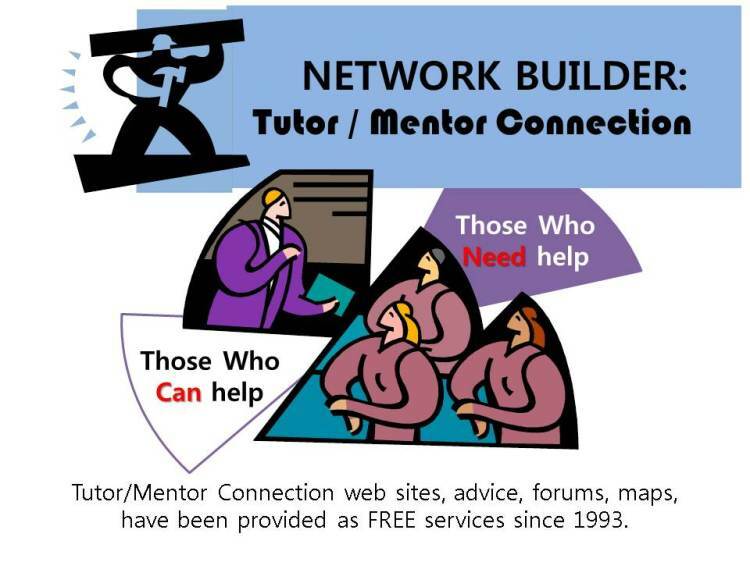 Mayor Daley attended one or two Tutor/Mentor Conferences in the 1990s and signed a Tutor/Mentor Week proclamation each year from 1994-1999, but his support for the T/MC did not go beyond that. I hope Mayor Emanuel will see the potential and look for ways to incorporate our ideas into his strategies. Update: I can now be reached at 847-220-2151 (cell phone). Give me a call.